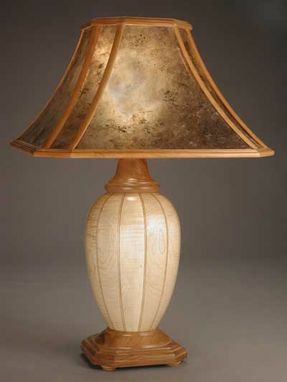 All solid wood lamp & shade. 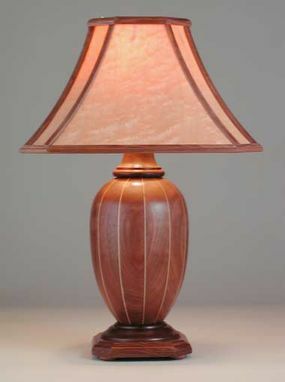 The lamp base features a segment turned body of black cherry (or other woods) with maple and wenge accents turned in a classic "ginger jar" shape. A turned waist leads to an octagonal base on 4 turned feet, all in the same wood. 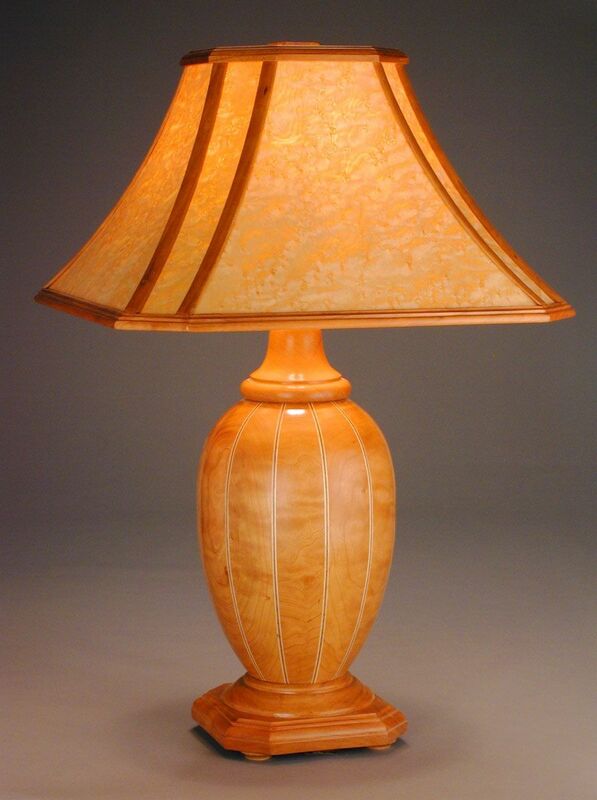 The lamp base is available in 15" and 17" heights with proportionate shades. The shade is a Chinese pagoda form of joined solid wood. The translucent panels are a stabilized birds eye maple veneer or maple burl veneer. A thin penetrating epoxy and fiberglass cloth give the veneer exceptional strength and stability. The effect is a rich translucent glow. 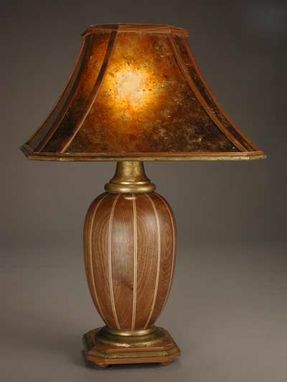 The shade is also available in two colors of mica, amber and neutral "silver" (recommended with cherry wood). The lamp is fitted with a 3 way socket that holds a 3-way LED bulb with the light equivalence of 150 watts for reading or tasks, or as little as 50 watts for accent lighting. An S-shaped two bulb cluster is also available. The lamp is finished in a durable catalyzed lacquer for easy care and long lasting beauty. Dimensions: 25" high overall, with 6 1/2" base. Shade is 16" across. Truly wonderful lamps, modified as asked and arrived on time.